If you have a kitchen with limited storage space, things that nest or stack well can help make the most of that space. 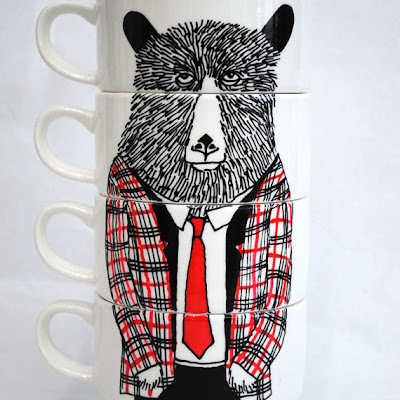 And some of the stackable and nesting options are pretty amazing — such as the stacking coffee cups from Jimbobart. Not into animals? Take a look at Typhoon, which has both stacking mugs and stacking espresso cups. 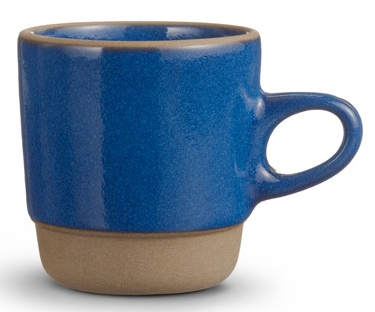 And for gorgeous solid color stacking mugs, you can head over to Heath Ceramics. 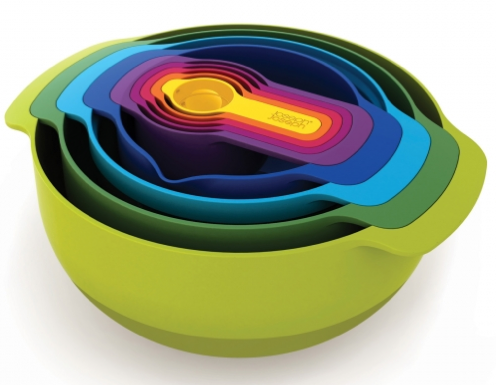 Moving beyond mugs, let's look at the Nest series of food preparation products from Joseph Joseph. This is the Nest 9 Plus, with five measuring cups, a small mixing bowl, a mesh sieve, a colander, and a large mixing bowl. There's also the Nest 100, which has stainless steel bowls. And finally, I want to thank organizer Jacki Hollywood Brown for reminding me about the products from Lakeland. 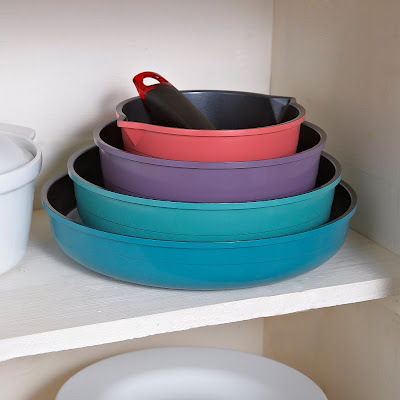 I mentioned the nesting pan set in an earlier post, but there's also a nesting bakeware set — and the colourful nesting pan set shown above, which comes with two detachable handles. 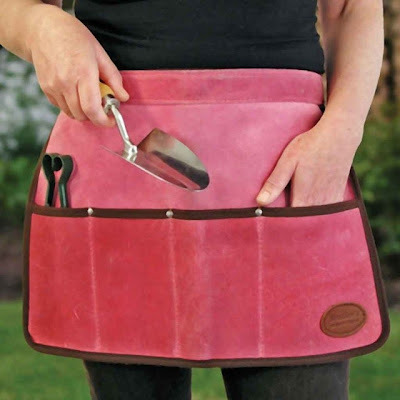 If you're working in the kitchen, the garden, the art studio — anywhere you want to have a few tools handy all the time — an apron with pockets can be a useful tool. 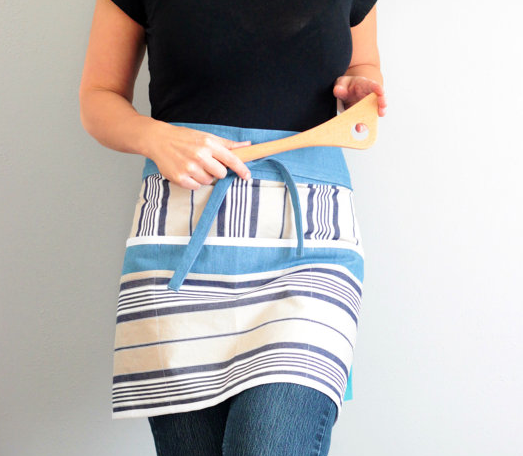 And aprons come in a huge range of styles, so there's something for everyone. Here are a few that caught my eye recently. 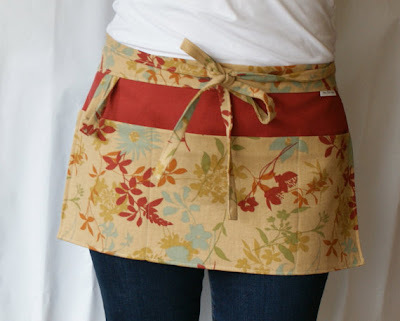 Let's start with the canvas, unisex, solid-color vendor aprons from Mzdesigns, available in 11 colors. 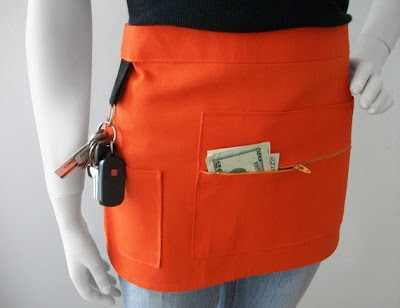 They're intended for people working at craft fairs, but they could certainly have plenty of other uses. 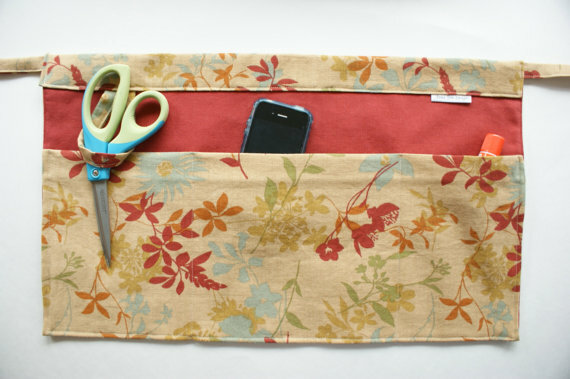 The zippered pocket would make the contents more secure than with some other designs. If you'd prefer a half apron in a pattern, you could look at the large selection of aprons from AnnaTere Designs. These aprons have three pockets which are each 8 inches deep; zipper pockets, or velcro for existing pockets, can be added for an additional fee. A Kitschy Kitchen does a new take on bistro aprons; the three pockets here are each 9 inches deep. 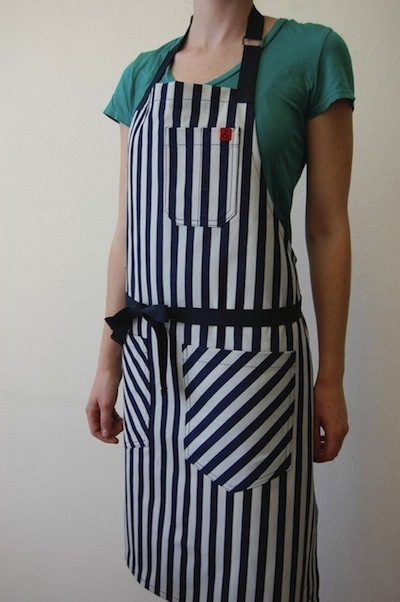 Some of the aprons are specifically designed to be unisex. Bradley's Tannery makes this lovely-looking suede tool roll apron, which can also be found at The Worm That Turned. 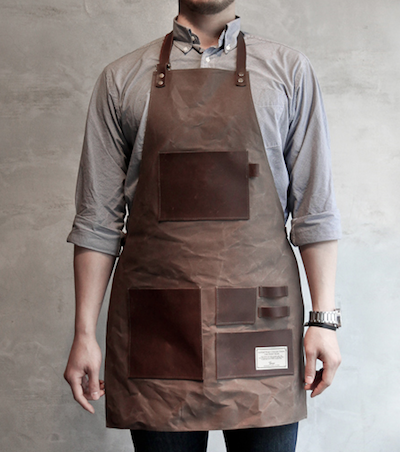 The same apron also comes in blue and chocolate brown, and Bradley's has a number of other gardening aprons, too. 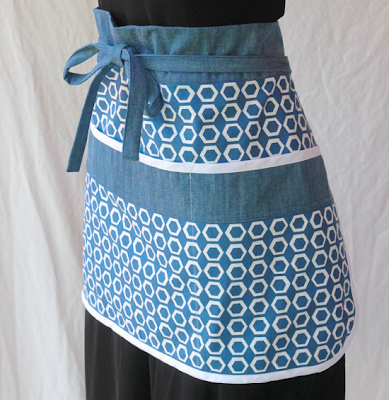 Garson Jasper also has some lovely kitchen aprons. 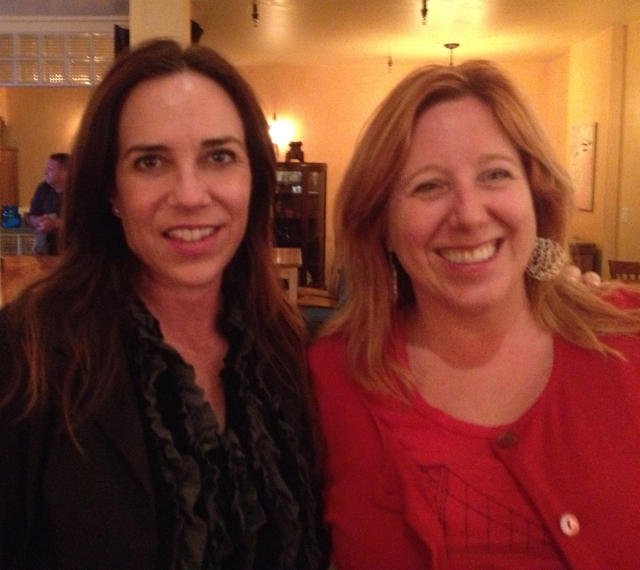 Meet Beth Lemke and Stephanie Hamilton. Beth owns a wonderful wine bar in Pacifica, California, called A Grape in the Fog. Stephanie, of Stephanie Hamilton Designs, knits some incredible jewelry. You can (sort of) see one of her earrings in the photo. As I was having a glass of wine with Stephanie, she mentioned that she and Beth have been meeting at a local cafe, once a week for about a year and a half, to work on the kind of thing that's not the fun part of owning a business: answering emails, paying the bills, reviewing the financials, sending in applications for shows, etc. They also brainstorm with each other about ideas for their businesses. And I thought this was such a great idea! When you know you're committed to meeting with someone else to do something you don't much like to do — whether it be exercise, the kinds of things Beth and Stephanie work on, or whatever else is your own personal bugaboo — it's more likely to really happen. Anyone else do something like Beth and Stephanie? I'd love to hear from you in the comments. Monday night, I had my book group over to my house — which means I spent part of Monday doing some house cleaning. Along the way, I found some interesting things to declutter — interesting to me, at any rate! The first was some toilet bowl cleaner lurking at the back of an under-the-sink cabinet. I had two almost-full bottles, from two different companies — which would be bad enough, but I don't even use toilet bowl cleaner. (I don't find I need a special-purpose cleaner for the toilet.) So these both got freecycled. The other was some soap. My soap dish has slats along the bottom, so excess water drains onto the counter — good for preserving the soap, but a mess on the countertop. And the dish itself gets to be a bit of a mess pretty quickly, too, with soap sticking to the sides and the slats. Hmm, I thought — maybe it's time for a new soap dish. And then it dawned on me there was an easier answer. At my other bathroom sink I have a bottle of liquid soap — and I could just use liquid soap at both sinks, eliminating one clean-up job that I always disliked. 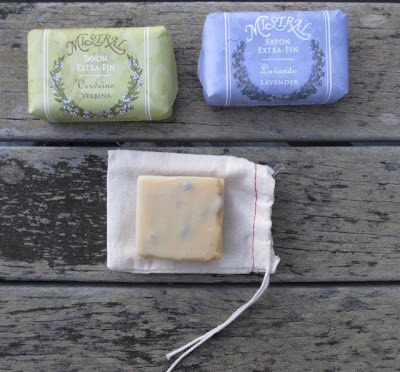 So my current bar of soap went into the trash, and some spare soap got freecycled. So now my bathroom is a bit less cluttered and a bit more functional, and that makes me happy. 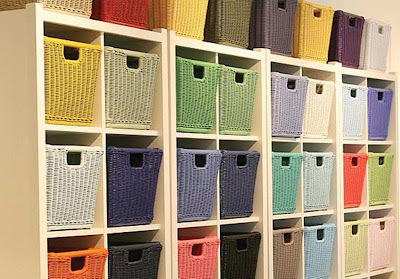 If you have a shelving unit with cubes or cubbies, such as the Ikea Expedit, you may want baskets or bins to use with them. You may even want bins for shelves without cubbies! 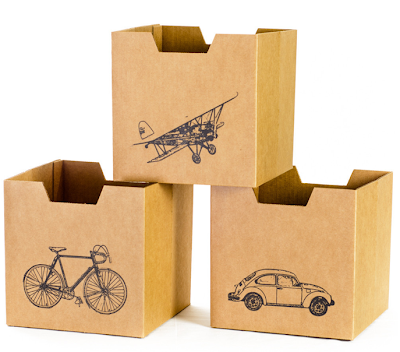 Let's look at some of the more interesting choices, going from largest to smallest. The wicker Monday baskets from Maine Cottage, shown above, measure 13" x 13" — and while they are lovely, and come in a wide range of colors, they also cost $150 each. Don't worry; there are many less expensive options! 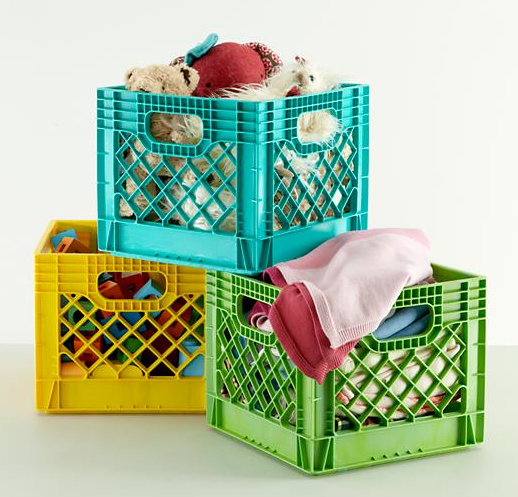 The milk crates from The Land of Nod also measure 13" x 13". Looking for something a bit smaller? 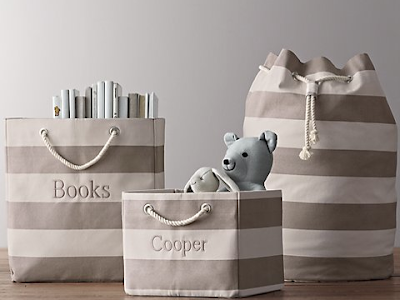 Restoration Hardware Baby & Child has 12" x 12" canvas storage bins in a variety of patterns. 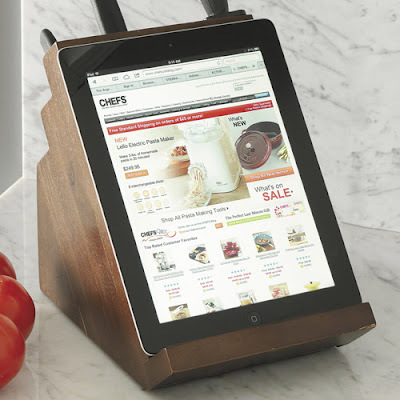 They're on sale right now; sales sometimes indicate a product that's going to be discontinued. 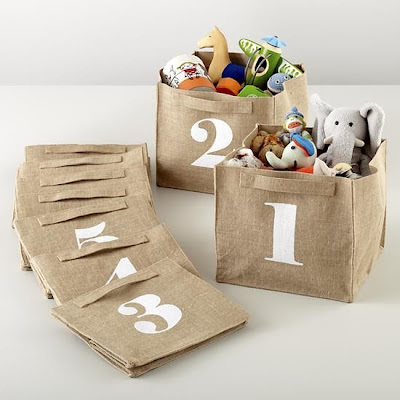 The bins come in two sizes; for this purpose, you want the smaller one. 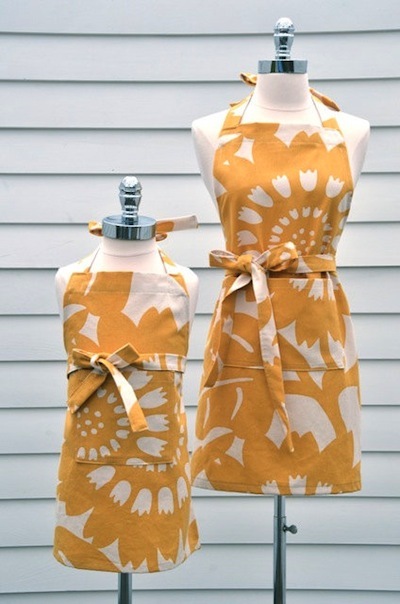 And The Land of Nod has lots of options for you; I'll show you just a couple. 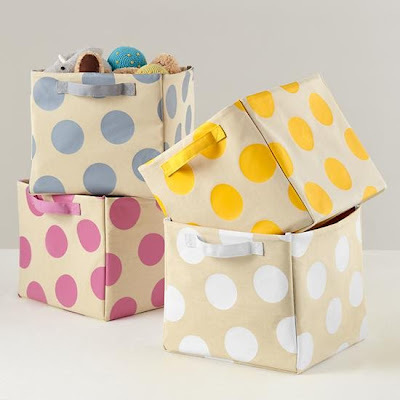 These numbered bins are 11.75" x 10.75"
And there are cube bins with polka dots (11" x 12") and stripes (11" x 11"), as well as solid colors (11" x 11"). 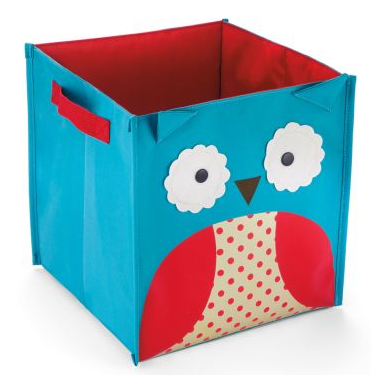 Going smaller still, the zoo storage bins from Skip Hop measure 10.5" x 11". There are five animals to choose from. 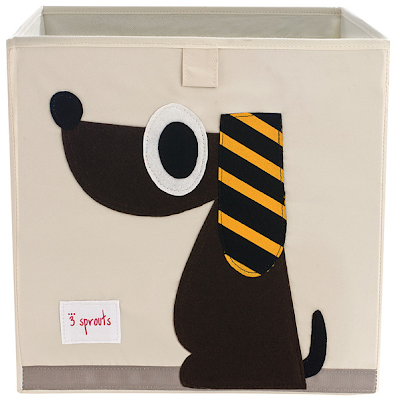 And finally, measuring 10" x 10", we've got the cardboard cubby bins from Sprout. 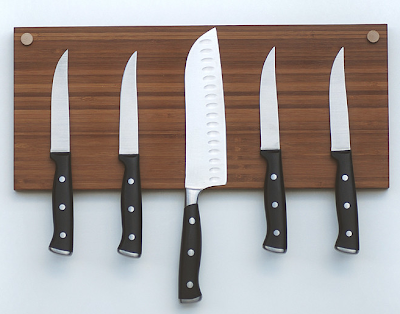 Yesterday, we looked at five knife blocks — but what if you lack counter space, and would prefer a knife rack? 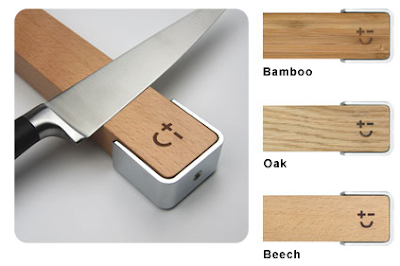 I've got five more interesting choices to show you, starting with the knife racks from OnOurTable. They come in two lengths — that's the shorter one above — and there's also one with a shelf extending out in front of the knife slots. 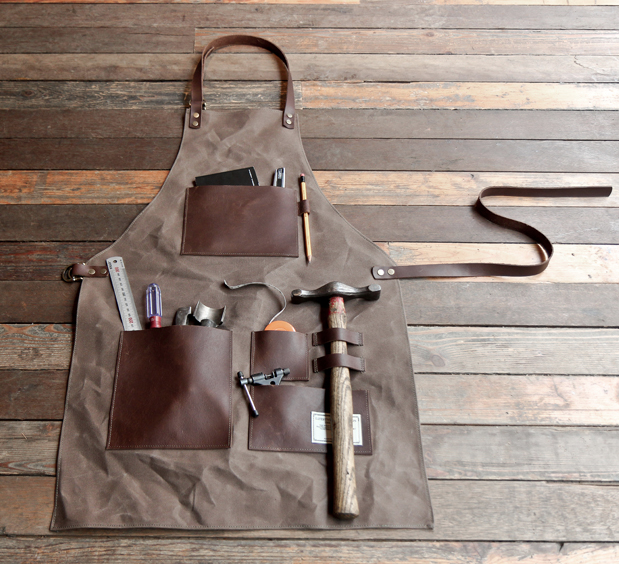 Besides having cool products, OnOurShelf says, "We are 100% committed to local manufacturing, sustainable materials & ethical production." 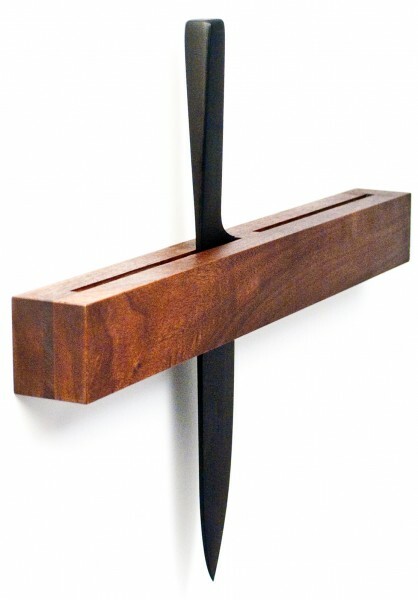 You can also find the OnOurTable knife racks at Wood Design. 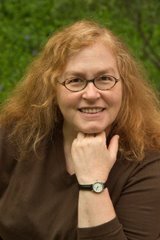 [via Better Living Through Design] Update on Jan. 10, 2016: The Wood Design website has disappeared. 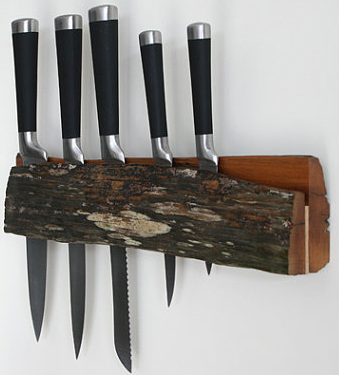 Billdan Design, based in New Zealand, has knife racks with a similar knife-slot design, but a rougher look. Many of the racks are made, in part, from recycled timber. 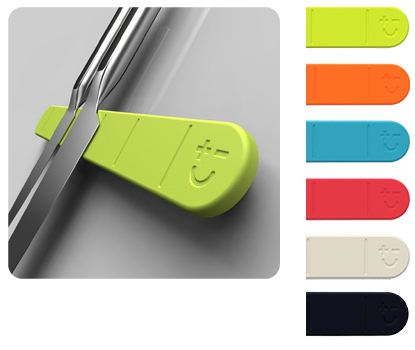 Update on Jan. 10, 2016: BillDan still sells knife racks, but not this specific design. If you'd prefer a magnetized rack, you've got some lovely choices, too. Uusi makes these simple, elegant racks from old-growth, reclaimed cypress or redwood. 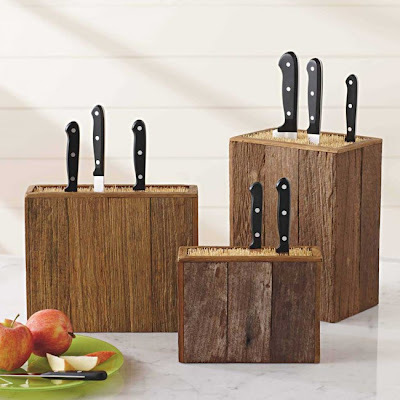 As the company explains: "The wood selected for our knife holder was milled from early 20th Century water towers built in Chicago. This 300+ year-old wood with its natural staining and distinct characteristics lends a sense of history and beauty to this functional object making each one unique." You can get them made in custom sizes, too. 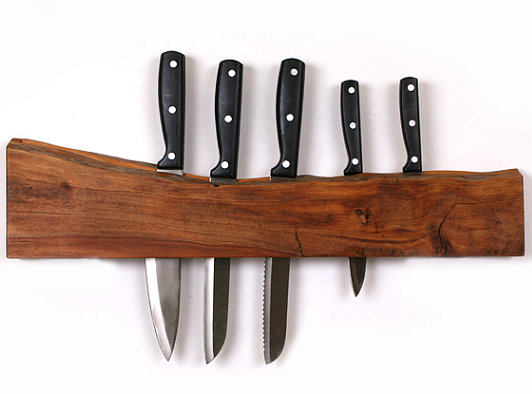 Meriwether of Montana has a few different options for storing knives; this knife holder is made from bamboo. 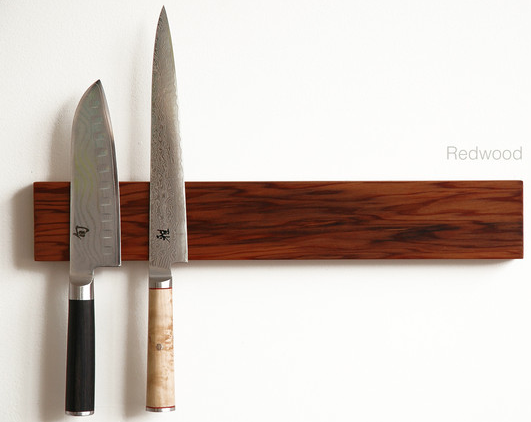 And finally, Bisbell makes a knife rack in three different woods and six different colors. 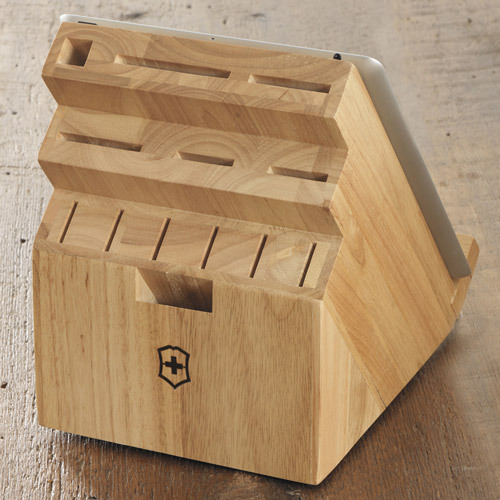 Other knife blocks appealed to me because they're simply gorgeous. 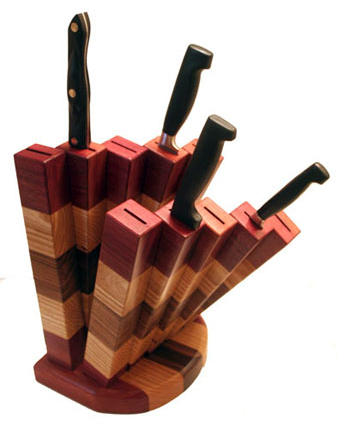 For example, take a look at the Mike Methieu's custom knife blocks, on his own website or on CustomMade.com. 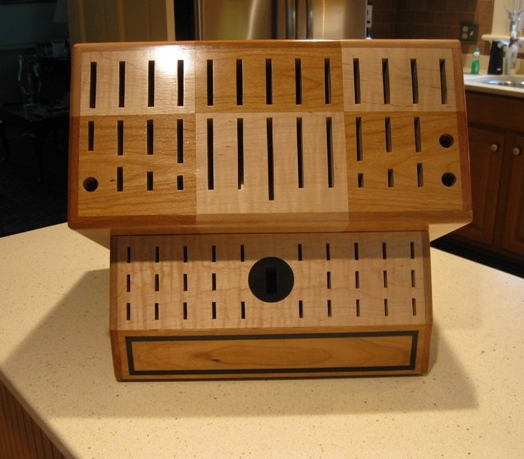 And here's a very different custom knife block from Phil Crane of Artistry in Wood. Need to store a lot of knives of varying sizes? 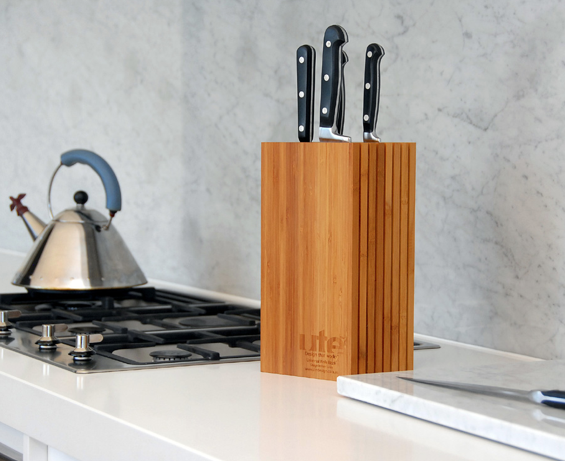 This knife block from Ute Design of Australia, which holds up to 20 knives, was designed for cooks like you. And then there are the knife blocks made from reclaimed wood. 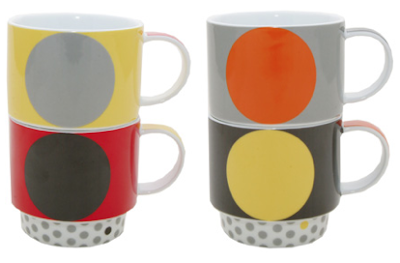 These come from Viva Terra, but I found similar (if not identical) products at Bambeco and Gracious Home. Over on Unclutterer, I recently wrote a post on the challenge of saying “no.” But I've got some more thoughts I want to share. When we talk about being protective of our time, and saying “no” more often, we're not talking about being overly selfish with our time, or turning down opportunities that take us in directions we want to go. We do things to help our family and friends; we volunteer our time for organizations we support; we set aside time to learn new skills and follow our dreams. And sometimes in our careers we need to say “yes” to things we'd prefer to turn down; that's reality. Since finding the right balance between saying “yes” and saying “no” can be such a challenge, I'd like to share some other perspectives that might help. Too much in my career I have been tending someone else’s garden, only to find my own withering and unloved. ... By saying “no” to the stuff that is wrong for us right now we have more capacity to say “yes” to the stuff that is right. Thank you for inviting me to join the committee of the Arts and Sciences for Eisenhower. You can say no with respect, you can say no promptly and you can say no with a lead to someone who might say yes. I’m sorry, but I’m booked through next Friday. I really want to give your project the attention that it deserves. If we can start the following Monday, I’d be happy to take it on. That's not a flat-out “no,” but rather a “not now.” And it worked, because here's the response she got from her client.